For ergonomics to be effective, products must be selected and used properly within the context of the individual’s physical characteristics, job function and application in conjunction with the furniture. Complements’ Ergonomic Accessories promote greater comfort, ease and efficiency while performing any task. 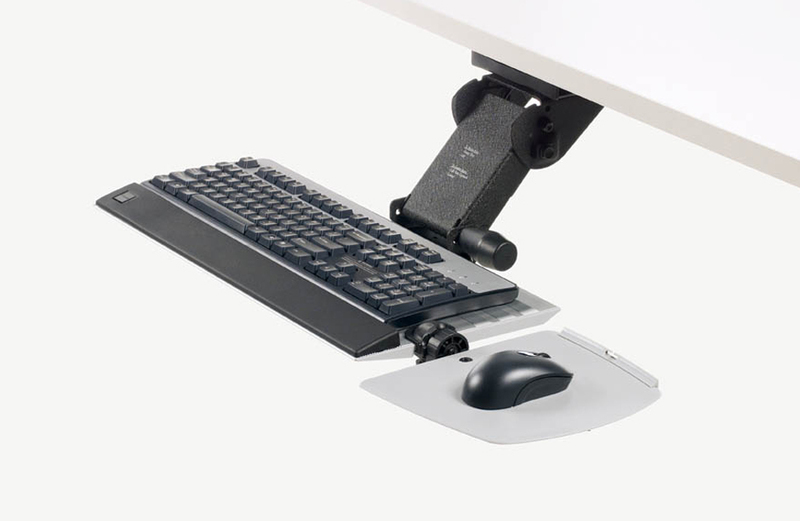 Components include adjustable Keyboard Arms, visual display tools, Flat Screen Monitor Arms, Footrest and Laptop Stand. MAST is the first monitor support arm on the market designed specifically to support today’s workplace requirements while anticipating the next level of technology, including tablets, oLED and curved screens. Joints are engineered for strength and fluid ease of movement. A light friction mechanism ensures that arms stop exactly where required. MAST promotes healthy working postures. 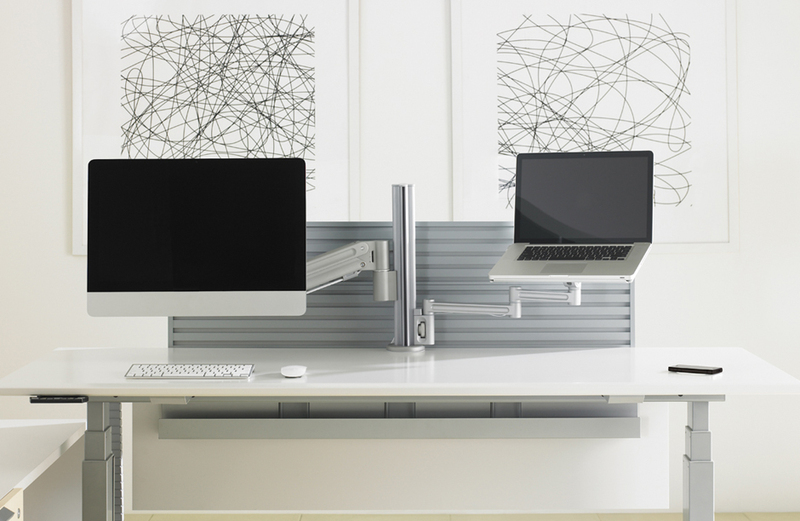 It is engineered to exceed user ergonomic requirements. Ideally, a monitor arm should have focal depth, focal height, tilt angle adjustment and collapse rearward for stowage. The user’s eyes control their posture. 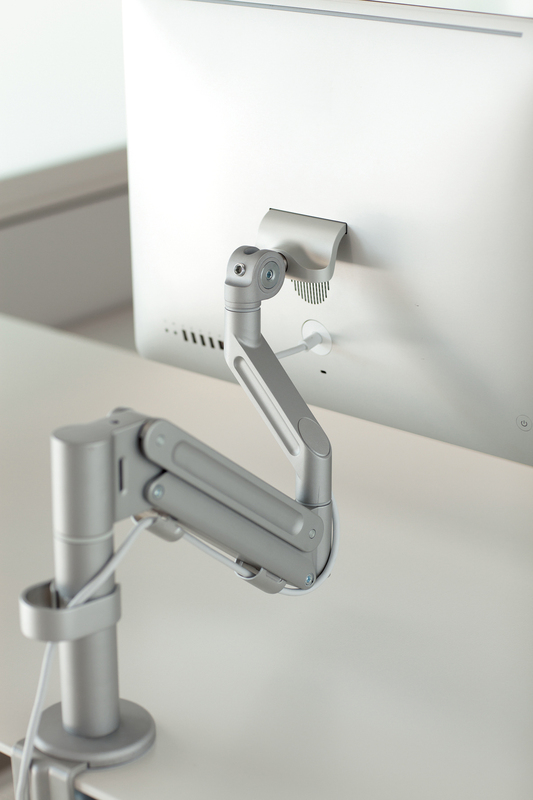 MAST allows the user to adjust visual devices simply and without tools to meet their physical needs and comfort preferences independent of their worksurface. MAST is built around a stanchion that delivers industry-leading rigidity and stability. 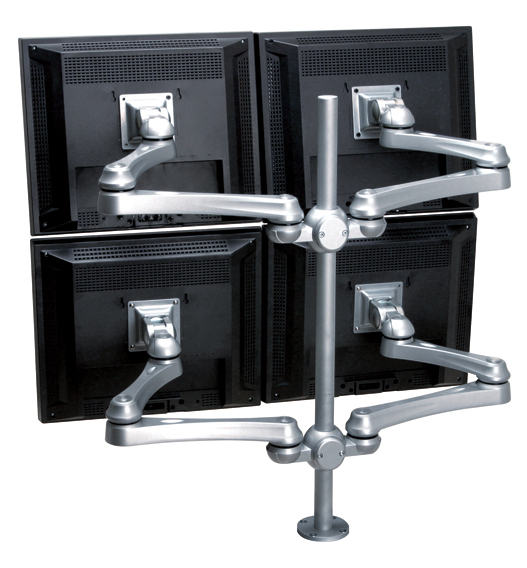 Mounting hardware allows monitors to be added or removed quickly and includes a security feature. All monitor styles are accommodated. MAST offers unique advanced wire management that practically conceals vertically flowing wires. 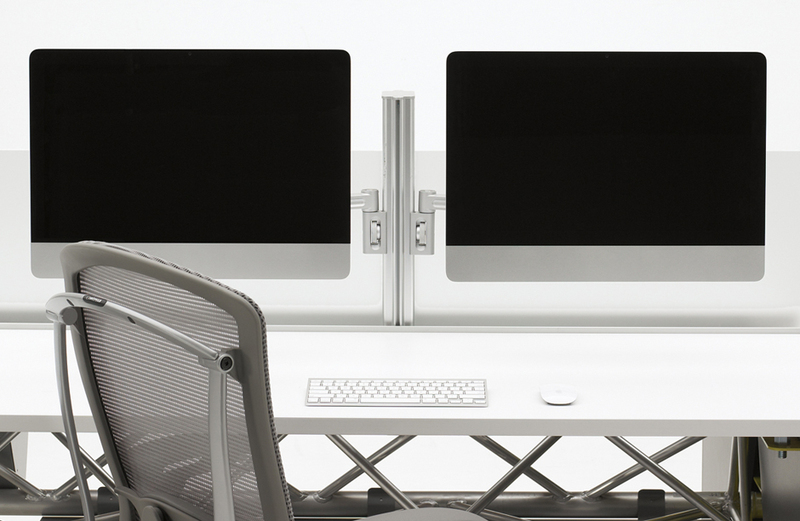 MAST Apple adaptors accommodate iMac, Cinema Screens and Thunderbolt Displays. The Laptop Platform is available in two sizes to support applications with or without a docking station. 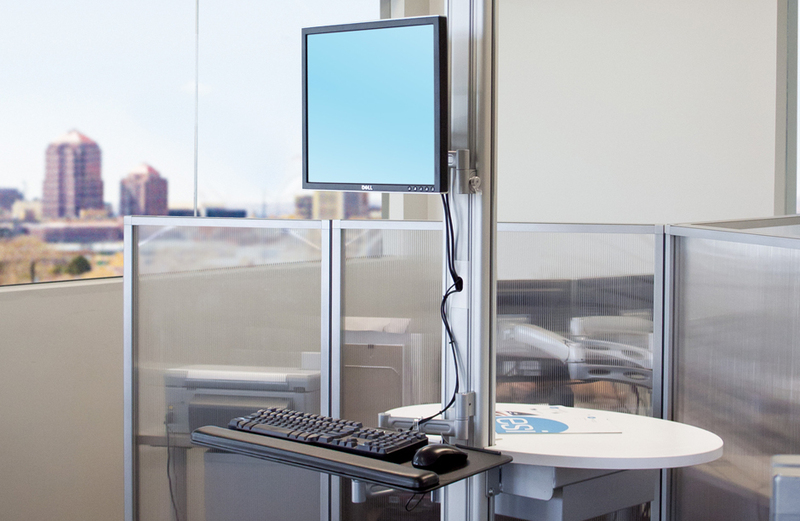 It positions laptops above the worksurface, allowing the user to put the screen at an appropriate eye level. Apple adaptor and Laptop Platform free valuable worksurface area and maximize real estate above the worksurface. Additional MAST Quick Release VESA Plates are available to support preconfigured on-the-fly monitor changes in technology-intensive markets like financial trading. Tiers is a complete offering of four keyboard trays that are fully compatible with three keyboard arms. 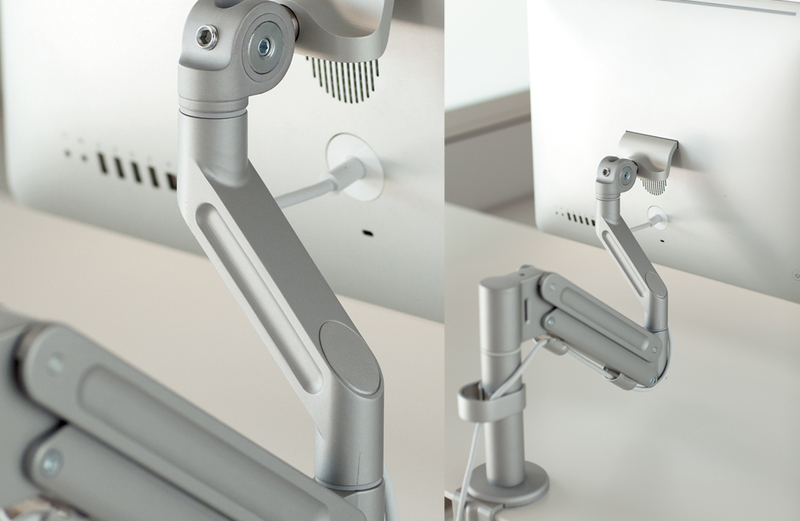 Together, they provide the greatest level of ergonomic flexibility in meeting user requirements and aesthetic considerations.